Travertine Know - How ! Travertine is a natural stone uch as Marble,Limestone,Granite. The main difference between Travertine and other natural stones lies in the formation of the rock, the hardness of the stone and the appearance. Travertine is formed in hot springs and/or limestone caves. Travertine is not the same as Marble or Limestone which falls in the metaporphic rock category.The characteristics of Travertine stone are the holes within the stone which are caused by carbon dioxide evasion. Travertine quarry is nothing more than a mine for Travertine stone. Most quarries are huge and look like open large pits. 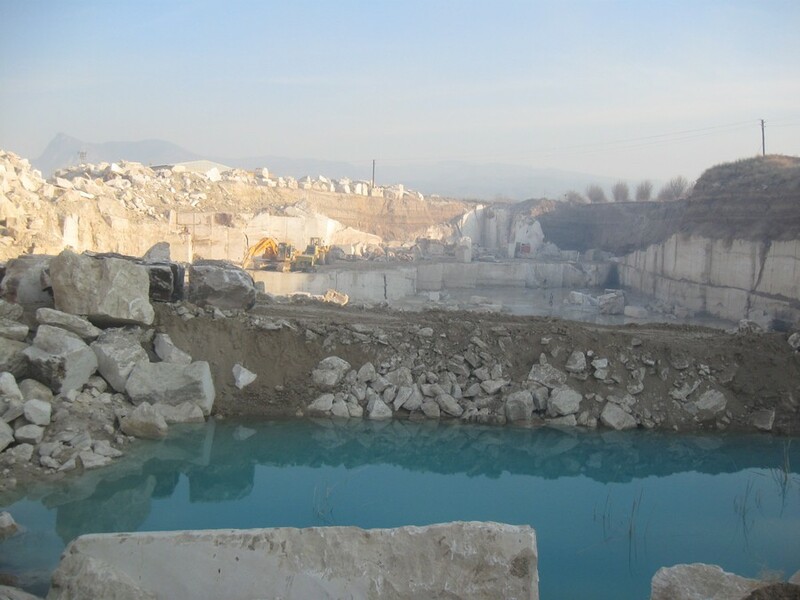 Travertine rocks are dug up in quarries and broken down into travertine blocks which are then transported to factories for the purpose of cutting. After cutting the blocks into tiles, pavers, mosaics etc. What is the difference between First quality travertine and commercial or Second quality travertine? The grade of travertine is most of the time determined based on the holes within the stone. Holes within Travertine stone are part of the stones nature and criteria. Today, the rule of that the less holes there are within travertine stone, the higher the quality. What is the difference between Travertine Tiles and Travertine Pavers? Travertine Tiles are generally used for indoor projects such as floors and walls while Travertine pavers are primarily used for outdoors such as driveways, pool decks, patio areas and walk ways. Travertine tiles are generally 3/8" (1cm) , 1/2'' (1,2 cm) , 5/8"(1,5cm) thick while the standard thickness for Travertine pavers is 1 1/4''. What is a Travertine French Pattern Set? One Travertine french pattern set covers exactly 8 sqf (0,74 sqm ) and consists of the following pieces. 1 piece 16x24, 2 pieces 16x16, 1 piece 16x8 and 2 pieces 8x8. The french pattern set is often called to as Versailles Pattern or Antique pattern set. Which colors do Travertine Tiles, Pavers, Mosaics etc. come in? Some of the most popular colors are Ivory,Light, Beige,Walnut,Noce,Silver and Gold. Combinations of these colors are also possible. Mix Color like Scott Rustic includes a few colors of them. Colors variations and these color name variations are quite common within the Travertine industry. Travertine products usually have the following finishes: Tumbled, Honed, Brushed, Filled, Filled & Honed, Chiseled, Bush Hammered, Polished. Combinations are also possible such as Chiseled & Honed, Chiseled & Brushed or Honed & Filled & Chiseled. 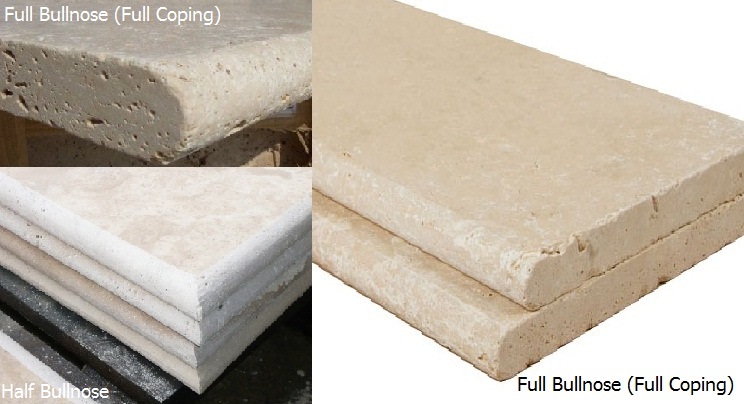 What is a Travertine Bullnose? Travertine bullnose is a term used in combination with Travertine Pool Copings.It implies that 1 side of the stone is rounded off. Double Bullnose Copings also exist and imply 2 rounded off sides. Full Bullnose and Half Bullnose projects can be produced by Mekmer. 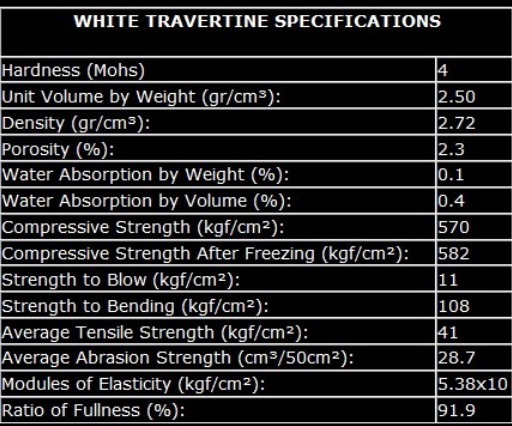 What Travertine Floor Tile sizes are most popular in the markets? The most popular sizes for indoor Travertine Tiles are french pattern, 12x12, 16X16 and 18x18. 24x24 travertine tiles are also gaining popularity among modern homes. Some Buyers even use travertine tiles for pool decks in order to cut down on the material cost, since tiles are usually cheaper than pavers.